Dowsing, or Divining, is the skill of seeking answers and interpreting them using metal or wooden rods or pendulums. “Dowsing is a tool for exploring the unconscious, a way of finding answers to questions that cannot be answered by the rational thought process or through the use of scientific methodology” The Pendulum Book, Sig Lonegren. Today gas, water, oil and electrical companies employ dowsers to find underground pipes, cables and oil reserves. Dowsing is an ancient art. A wall painting in the Caves of Tassili in the foothils of the Atlas Mountains shows a dowser dowsing for water. These paintings have been carbon dated to be at least 8,000 years old. 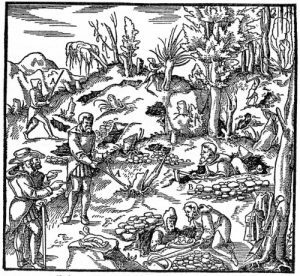 More recently, Elizabeth I (1533-1603) introduced German miners with dowsing expertise to our mining communities. This ancient art is still used to find underground water, booby traps in war zones, geopathic stress lines and missing objects and people. Healing is a very ancient art. It has been performed through the centuries by various methods and by a very wide cross section of healers/administrators. Healing and dowsing go hand in glove, as both arts draw on the same energies. Dowsing/dowsers use many different techniques, the same applies to healing/healers. The tool or application used by the administrator will depend on the individual and how he/she can attune themselves to the natural energies. All healing is GOOD, providing that it comes with good intentions and the right reasons. Everything that exists in the Universe is ultimately pure energy. Both the animate and inanimate have energy fields and this includes every particle of thought, word, emotion, object and experience. When you dowse for something specific, you are really tuning into its frequency, and the response from the rods or pendulum shows clearly that you are reflecting energy back to yourself for interpretation. WE CAN ALL DOWSE! With practice (as in everything else) you will improve.